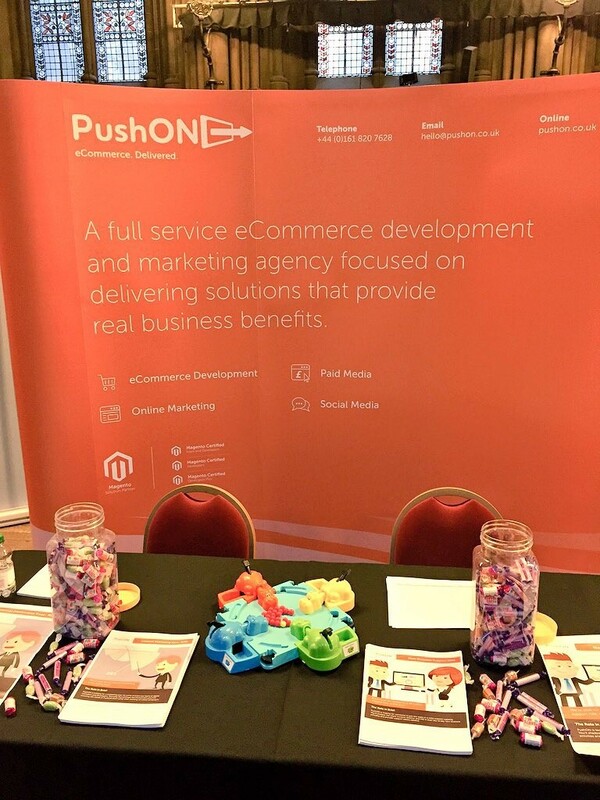 It was with great pride that PushON attended the Manchester Digital Talent day for the third year running to speak to eager students and graduates from across the North West, all hungry for a career in digital. The event, hosted at the town hall by Manchester Digital, was part of the Digital Skills Festival 2016 which also includes the Digital Skills Conference. It’s a great opportunity for students and graduates to speak to future employers about the careers available in digital across Manchester, something PushON has always been keen to support. During our day at the event we spoke to students and graduates from the Manchester Metropolitan University, University of Salford, University of Chester, University of Manchester, University of Bolton, Manchester College, Trafford College and the Open University. Within this there was a diverse number of degrees, courses and career interests, ranging from computer science, web development and IT to digital marketing & media, UX and SEO. After a successful debut last year, we opted to bring back Hungry Hungry Hippos! The Oculus Rift, Gif Photobooth and BB-8 droids on display on other stands all looked great, but no one can turn down a contest on the classic board game from 1978. Over half of our games were against students from MMU (52%) who were clearly showing that they were out in force at the talent day. It was great to see other attendees from so many local universities and colleges, with notable mentions going to Uni of Chester, Uni of Salford and Manchester College for their participation. Whilst MMU led in terms of appearances, Salford had the highest win rate with an unbeaten 100%! The same could be said for the Uni of Manchester and Open University but from just one game apiece. MMU had a respectable 73% win rate from 11 games. It was a tie between marketing and development! That’s right – there was nothing between our marketing and development players, each side boasting an 80% win rate! Marketing could argue they edged it though, having played twice as many games as their development counterparts. The team from PushON won just 38% of our games, with the talent day students and attendees coming out on top (62%). We did, however, manage to overcome Manchester Digital MD Katie Gallagher so we came away happy! Thanks again to the Manchester Digital team for a great event, and for all the students, graduates and other attendees for speaking to us. We’ll be in touch with all those who left us a CV or spoke about the current graduate positions we have on offer! Why not subscribe to our newsletter to receive regular updates?